Have a theme or photo you would like see in a quilt? 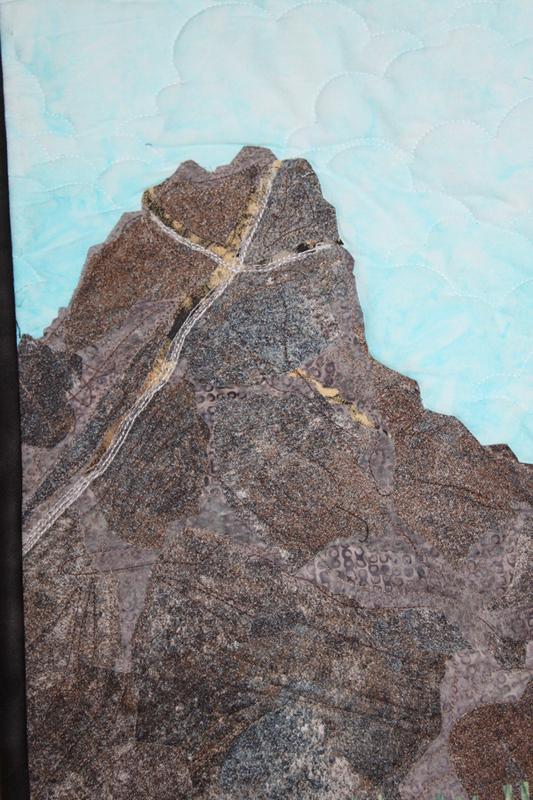 We guarantee you will love the art quilt we create. You never pay a cent until you see what we have created! 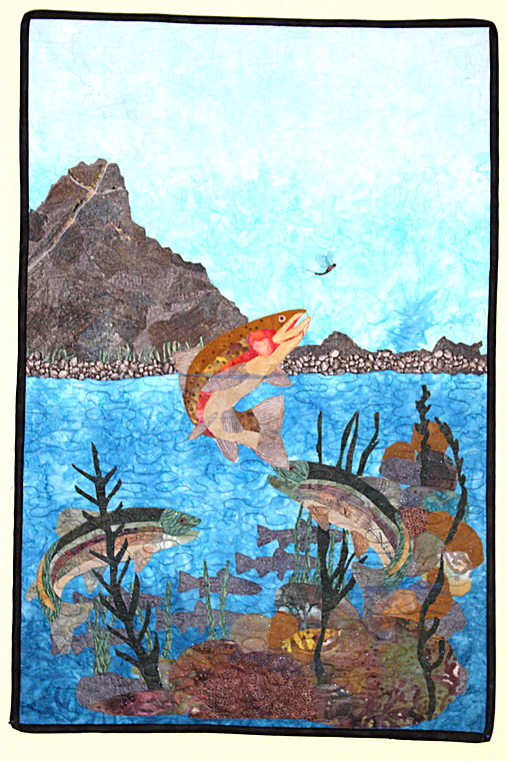 Title: "Memories of Upper Rip'em a New One"
This art quilt was commissioned as a retirement gift. 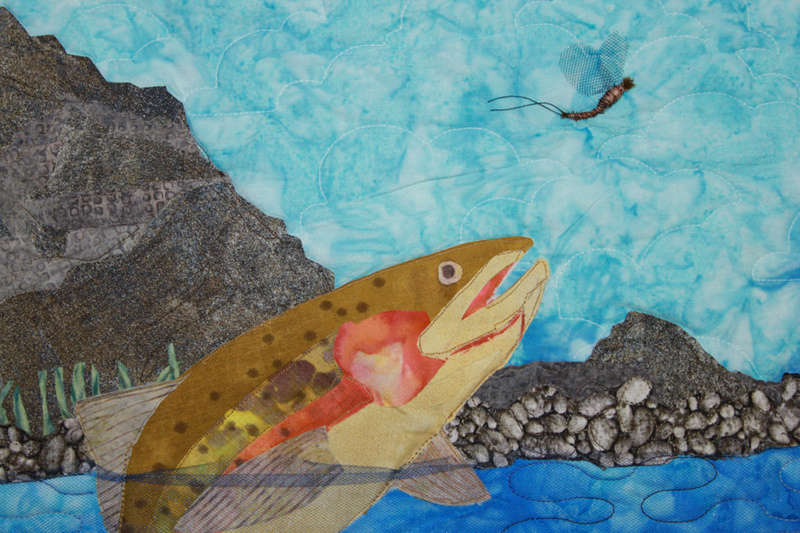 We used the following description as a guide in creating this quilt: Inspired by backpacking and fishing, this quilt recounts an experience few will ever enjoy. Two friends hiked nine tough hours to an unnamed lake 12,500 ft above sea level deep in the Holy Cross Wilderness. Encountering a huge hatch of #12 grey drakes, they caught and released over 100 cutthroat trout averaging 16 inches. Joking about "ripping 'em a new one" the lake is now known by this name.